Recent research shows that consumers who suffer from rheumatoid arthritis might want to start adding more fish to their diet. 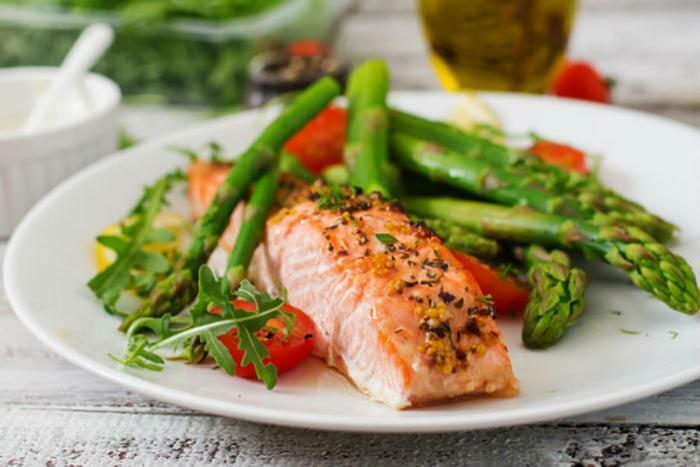 In a new study, lead research Sara Tedeschi and her colleagues at Brigham and Women’s Hospital and Harvard Medical school found that eating fish two times or more per week led to a reduction in rheumatoid arthritis symptoms. The team believes their findings show that fish have anti-inflammatory qualities that could benefit those suffering from the condition. “Fish consumption has been noted to have many beneficial health effects, and our findings may give patients with rheumatoid arthritis a strong reason to increase fish consumption,” said Tedeschi. Rheumatoid arthritis is a chronic and progressive condition that occurs when a person’s immune system attacks their own joints. These attacks cause painful inflammation and swelling in joints throughout the body, but in many cases it is focused in the hands in wrists. Eventually, the cartilage and connective tissue surrounding joints and the ends of bones can break down, leading to physical deformities and mobility problems. Currently, around 1.5 million people suffer from the condition in the U.S. There is currently no cure for rheumatoid arthritis, but consumers can take certain steps through their diets, medication, and surgery to slow down the condition. With this in mind, the researchers began their study into how increased fish consumption might be helpful. The study involved data on 176 patients living with rheumatoid arthritis who took part in a previous cohort study which had asked them to fill out a food frequency questionnaire. Using this information, the researchers determined how much fish each participant had consumed over the past year and divided them into four groups: never to less than once per month, once per month to less than once per week, once per week, and twice per week or more. The researchers then used a linear regression model to measure symptoms of rheumatoid arthritis and how they correlated with fish consumption. On a scale ranging from 2.9 to 4.3, the researchers found that the median score for all participants was 3.5. However, they also found that the amount of fish a participant consumed greatly reduced their personal score. Compared to those in the group who never or seldom ate fish, those who ate it twice a week had an average score that was 0.49 lower, a significant reduction. Additionally, the researchers found that each additional serving of fish per week lowered scores by 0.18. The results of the study provide solid evidence that eating fish can help manage symptomatic pain associated with rheumatoid arthritis. However, the researchers say that futures studies will be needed to corroborate the findings. “If our finding holds up in other studies, it suggests that fish consumption may lower inflammation related to rheumatoid arthritis disease activity,” said Tedeschi. The full study has been published in Arthritis Care & Research. Study debunks copper, magnetic arthritis "cures"